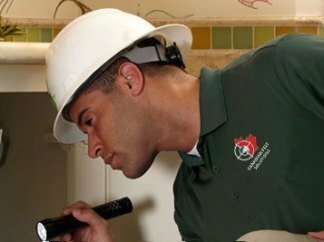 We begin our pest control services with a thorough, no-obligation inspection. 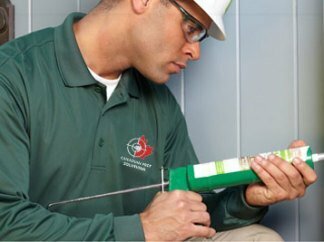 Canadian Pest Solutions offers pest control in Windsor, Belle River, Amherstburg, Essex, Harrow, Kingsville, Lasalle, Leamington, St. Clair Beach, Tecumseh, Wallaceburg, Blenheim, Ridgetown, Dresden, London, and Sarnia. 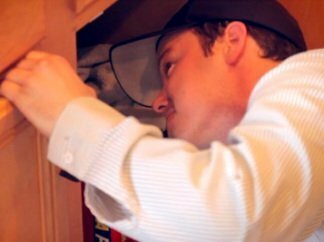 We are proud to offer same-day or next day service, as well as immediate call support for insect, rodent, or bird issues, and we guarantee all our work. We are proud to offer effective, high-quality pest control services. What we practice is Integrated Pest Management (IPM), which means that chemical treatments are not the only solution we put forward. We have many tools that we use to solve residential as well as commercial and industrial infestations. One of our most common industrial clients are those with greenhouses. We are proud to work with industrial greenhouse clients to prepare your crop for auditing and sale. Our team undergoes intensive testing, as well as licensing and training before we send them out to serve you. We are a locally owned, operated, and family-run business – which means we know how valuable your home and business are to you! We complete every job with the health and safety of your family, employees, customers, and pets in mind. With over 16 years of experience, we feel there is no pest control issue that we can’t solve. Become part of the Canadian Pest Solutions family by contacting us today for 24/7 emergency service! We offer promotions on our bed bug as well as our rodent control services. We also offer free estimates and inspections, as well as senior discounts. We offer reliable, trusted pest control to remove unwanted guests. Keep your home or business bed bug free with our services. Our industrial clients can expect an IPM that will get them ready to sell. Our Whole Home Program protects you from 17 different types of pests.